For homeowners around the world – not just in places like Birmingham, Bloomfield Hills, Rochester and West Bloomfield – windows can be both a gift and a curse. Of course, you’d never want to have a home without windows. The light they allow in makes the whole living space a brighter, happier, and simply more pleasant place to be. If you’re fortunate enough to have a nice garden, or a view near your home, windows also allow you to enjoy it without having to brave the elements. As with most things, though, there is a price to pay for all these positives! There are plenty of things that can go wrong with windows – from scratches to full-on breakages – and, if the worst does come to the worst, they can be costly to replace. To avoid this, and ensure the long-term health of your property’s windows, you really need to take care of them consistently. 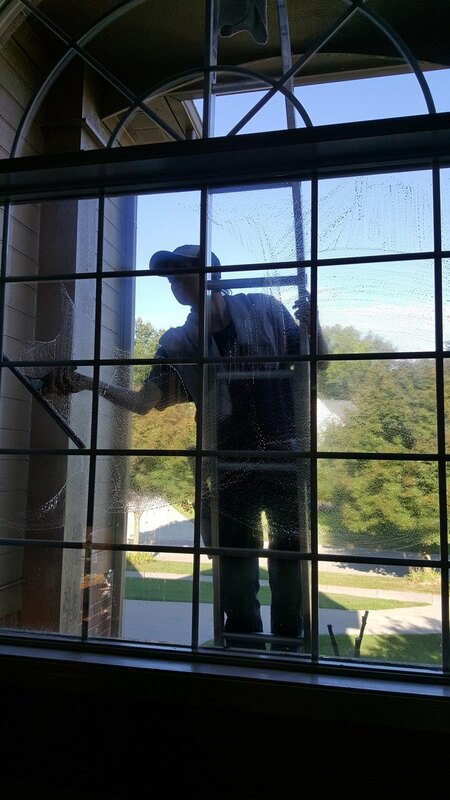 Residential window cleaning – courtesy of a company like J&M Window Cleaning – is by far the most effective way to do this. We know that some folk around the Detroit Metro area, whether in Birmingham, Rochester, West Bloomfield or Bloomfield Hills, like to take the DIY approach to window cleaning instead. We understand their reasons for doing this, but we wouldn’t recommend it ourselves; firstly, because you still risk the aforementioned perils of scratching or otherwise damaging your windows, and secondly because… you probably won’t actually get your windows clean anyway! While residential window cleaning is a great solution, however, it does obviously cost money, so naturally you won’t want to be ordering it too often. The good news is that there are plenty of ways you can care for your windows, for free, in between residential window cleaning sessions. Here are three quick and easy methods for doing just that. Interior condensation is probably something you’ve noticed before. It usually occurs when the temperature outside is low, while the temperature inside is considerably higher. A little condensation is fine, but if you notice a lot of water building up constantly, that could both spell trouble for your sills and frames, and negatively affect the air quality in the room. Solving this problem is easy, though. You can buy a dehumidifier, run a ceiling fan for a while, or simply open the windows more frequently to ventilate the room. Many residential window cleaning companies neglect to include sill wiping in their service (although we happily do it here at J&M!). These sills – and the frames – still need to be cared for, in order to protect the long-term health of the windows. Ensure that you wipe them regularly, or vacuum up any dirt or debris you find there. This one seems like common sense to us here at J&M… but you’d be surprised how many people attach things like tape to their windows. We’d advise avoiding this in all circumstances. Getting these things off is a lot harder than putting them on, and – in the worst cases – they can leave permanent marks on your windows. Those are just three of the many ways in which you can care for your home’s windows. Remember, though, that by far the best all-round way to accomplish this is by hiring a professional residential window cleaning company, like J&M Window Cleaning. Not only will we get your windows clean in a safe and effective manner; we also have the experience and expertise to spot any potential problems at an early stage, before they become a real issue. If you’re based in Bloomfield Hills, Birmingham, West Bloomfield or Rochester, and you’d like to find out more about residential window cleaning today, just call (248) 605-2243, or email CleanWindows@JMWindowCleaning.com.